Last month, one of the lesser-known effects of overfishing washed up on the coast of Maine in the form of a female right whale. The body was covered in ropes and other fishing equipment, revealing this creature as a casualty of unsustainable fishing practices. Unless you were on the whale-watching trip that witnessed this sad event, you may think that none of this involves you. Overfishing is just a fishery problem right? Wrong. Fisheries exist for the same reason any other business does, to make money. Their business practices are defined by the behavior of consumers, which in this case is you, and your views and actions need to change. Overfishing is a global problem leading to the depletion of fish populations, but it also affects people, both inside and outside of the fishing industry. Ineffective government regulations and unsustainable industry practices are not working to balance an ever-growing consumer demand. It’s time for consumers to educate themselves and take positive action toward sustainable consumption. So maybe you don’t eat seafood, and you think you’re not contributing to the depletion of fish populations or the rise in casualties from the fishing industry. However, fish aren’t being taken out of the ocean for direct consumption alone. They are used to manufacture many commercial products that you probably have in your own home, like dietary supplements and pharmaceuticals, cosmetics and personal care products, and even that lawn fertilizer you may have recently purchased. Wondering about how a product affects fish populations is probably not a question many people consider when shopping at the store—but it’s time they should. Demand is the number one factor driving overfishing. Global seafood demand is now about 200 billion pounds, and that number is expected to increase an additional 100 billion pounds by 2025. Currently, 90% of fishing zones across the world are categorized as over-exploited. Fish reserves are severely limited showing a 49% decline in populations world-wide and could soon be completely depleted given the rate of consumption and extent of overfishing observed today. Even if you are not sympathetic to fish, all will feel the impacts if overfishing continues to run rampant, causing further exploitation of marine reserves. If you’re worried about unemployment rates, consider that the fishing industry directly or indirectly employs 260 million people. In addition fisheries contribute $274 billion per to the global GDP. For the consumer, some of your favorite products depend on fish for their ingredient list. Sustainable consumption is necessary or else the fishing industry will collapse with domino effects. Of course, it is unrealistic to completely shut down the fishing industry waiting for fish populations to regenerate. Fish are an important food source, a major economic factor, and an integral part of many essential products. To assure a sustainable fish supply for our future, making needed products and earning a living must be balanced with employing fishing practices that support species health, adequate reproduction time, and habitat preservation. There are options on how to make fishing more sustainable, and they all start with people taking action. The government has implemented regulations on the fishing industry but these attempts have only led to more issues, including in many cases, promoting harmful fishing practices. Setting limits encourages boats to bring in a larger than needed catch and then release already dead fish back into the ocean, simply to assure their quota is met to the maximum. Shortening fishing seasons turns fishing into a game of who can catch the most before the timer runs out. There has been some effective legislation that has helped to reduce overfishing. Examples include catch-shares that allow fisheries to sell their surplus stock to others, and marine reserves that create no-fish zones. Unfortunately, the scale is often too small to create a noticeable difference for fish populations. In an effort to meet demand for fish, fisheries often employ unsustainable methods; for example, bottom trawling, which uses very large nets to catch as many fish as possible. 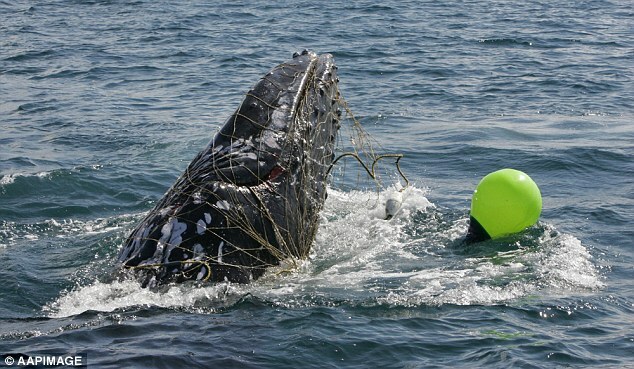 These nets can damage fish habitats and breeding grounds, and catch or entangle larger marine species, such as the unfortunate right whale. Policing its own behavior is one way the fishing industry can create positive change. For example, the Australian tuna market has switched to only accepting fish from sustainable fisheries. These fisheries do not employ the mentioned harmful, unsustainable fishing practices. Sourcing fish following these guidelines creates an amazing incentive program for fisheries to demonstrate sustainable practices. If they want to make a sale, they need to make a change. Consumer education is a necessary step in working to reduce overfishing. Many species are overfished purely because they are popular and demanded in the marketplace, for example salmon and tuna. However, there are alternatives that are more abundant and just as tasty, like mackerel, but these are not well advertised. By making a conscious choice to eat an abundant variety fish or select your favorite fish only in moderation, you would help populations to regenerate. How can a person be expected to make these educated decisions? Regulatory action is necessary to facilitate communication to consumers so they may better select fish and fish-based products that are sourced from sustainable fisheries and support sustainable species. Consumers must demand mandatory, informative labeling and marketing of foods in grocery stores and eateries, and on product packaging for fish-based goods. Up to now, relying on government regulations and putting the responsibility in the hands of fisheries has done little good to prevent overfishing. Industries have enacted steps in good faith, but now consumers must step-up and make a choice to change their behaviors when making food and product purchases. Let’s try to save fish for the future and help to prevent more whales from washing up dead on the shore.